4k00:24The cocoa tree with fruits. Yellow and green Cocoa pods grow on the tree, cacao plantation in village Nan Thailand. 4k00:06Three butterflies julia Heliconian 4k sitting on flowers moving slowly the wings. 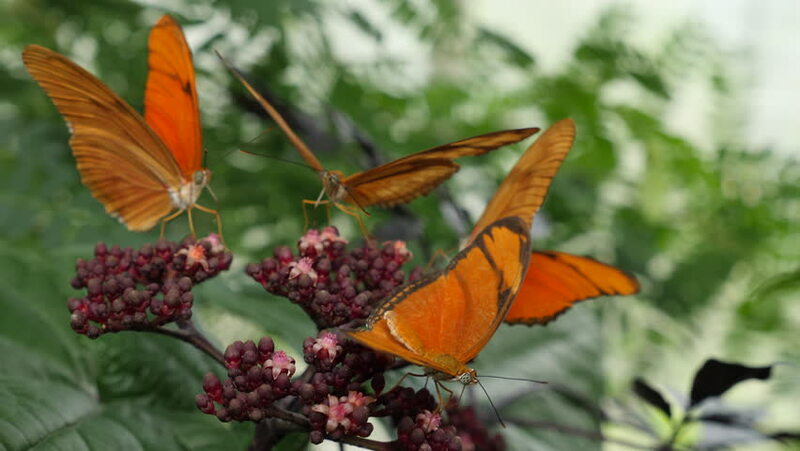 hd00:20Two Moths or Butterflies fight, then make up, then fight again at the Blooming Butterflies at Olbrich Botanical Gardens. 4k00:12An orange butterfly on a flower eats pollen.